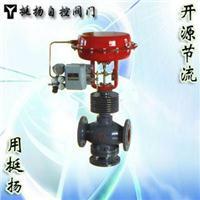 Features:ZJHF (H) pneumatic three-way diverting valve has two structural forms and confluence. 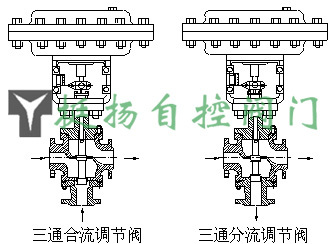 Thin-walled cylinder valve structure using the window, and the use of spool side oriented, three-way valve in some cases can replace the two two-way valve and a three-way over and wait until the widely used, commonly used in heat exchangers of the two-phase adjustment can also be used for a simple ratio adjustment. 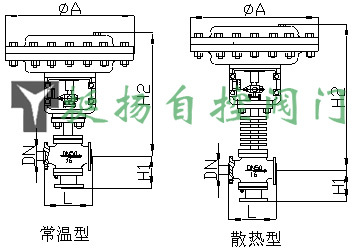 Nominal diameter and pressure is small, the mixing valve can be used for streaming applications, are used interchangeably, but the nominal diameter greater than 80mm and larger shunt pressure situations, can not be used interchangeably. Packing: V-PTFE packing, flexible graphite.